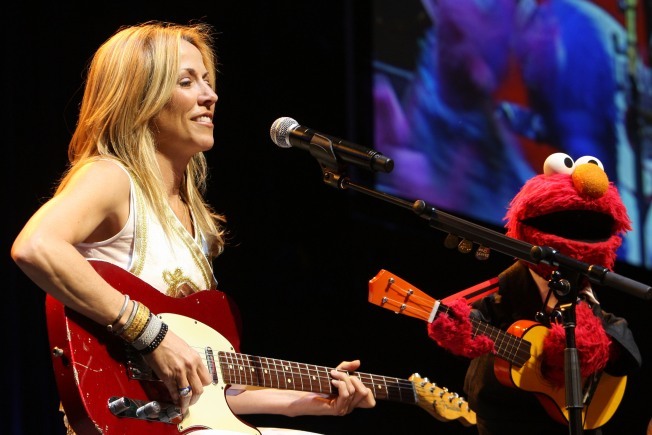 Sheryl Crow performs tonight at The Mountain Winery in Saratoga (without Elmo, sadly). HIGHWAY TO HELL: Hard-rock band AC/DC comes to the HP Pavilion in San Jose as part of their "Black Ice" tour. The show starts at 7:30 p.m.
BEAUTIFUL LEPPARD: Check out this lineup: Def Leppard, Poison, and Cheap Trick all perform live at Shoreline Amphitheatre in Mountain View tonight. The show starts at 7 p.m. SCREAMING FOR GREEN: Legendary crooner Al Green will be at The Warfield in San Francisco tonight at 8 p.m.
GO TO CROW: Sheryl Crow will be at The Mountain Winery in Saratoga tonight. The show starts at 7:30 p.m.